Yes guys, it is Rakshabandhan time again! The time to tickle your brothers and sisters with that inborn naughty streak, giggle with them, laugh with them, relish those mouth-watering delicacies and show some unconditional love. And as the tradition goes, all the sisters go gaga over buying that best looking Rakhi for their brothers, right? But which ones are the best? Who can deny the cartoon love of your little brothers after all? 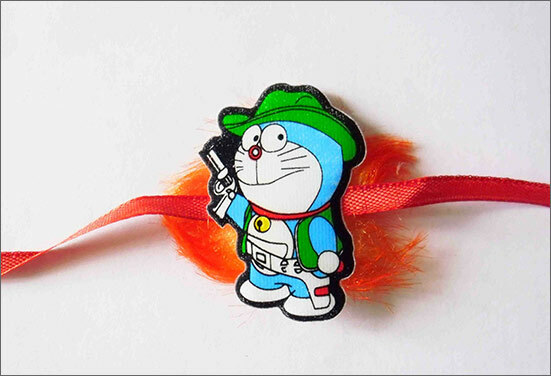 It becomes a moment of utmost magic when characters like ChotaBheem, or Doraemon come alive on Rakshabandhan strings for your lovable li'l brother. Go spoil them! While the brothers are being pampered, why the sisters and bhabhis be left alone? The crafty Lumba Rakhis for girly clan, decorated with traditional latkans are amazingly pretty looking. And guess what? They even double up as gorgeous looking bracelets which you can wear for long even after the festivities are over. Tempting! This Rakshabandhan, delight your brother by bringing in a touch of class, beauty and elegance to the celebration by sending him a dazzling Zardosi Rakhi. 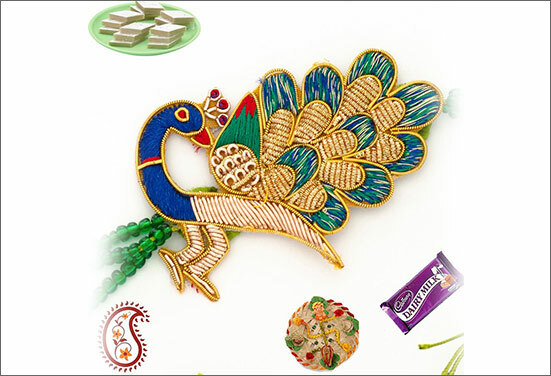 The best bit of this specially crafted Rakhi is the rich quality of special Zardosi thread which is generally in silk. The design is intricate and very elegant. Needless to say that pearls are timeless beauties. When they come studded in a string that adorns your brother's wrist, the sight becomes a mesmerizing one for sure. They are definitely the favorites amongst all. 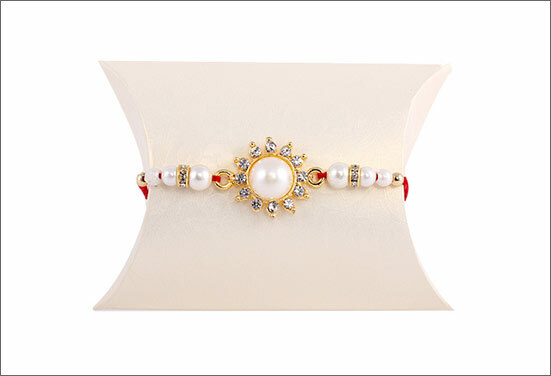 Is Pearl Rakhi your pick for this Rakshabandhan? As the pouring season is pronounced around August, and monsoons envelop Rakshabandhan festivities, peacocks become spirited during these celebrations. 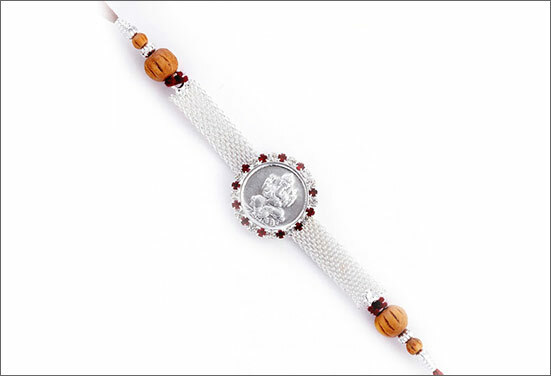 And how amazing they look on Rakhis, with all the breathtaking colors and crafty formations. 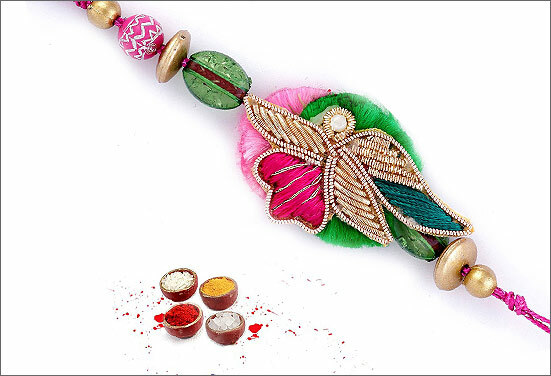 Well, peacock Rakhis are the trend for sure. Are you picking one? Oh the allure of sterling silver, oh the ornamental passion! These articulately crafted beautiful little pieces of shining metal bring an instant feel of class and royalty. If you believe in regality, go for a silver one and be the trendsetter. The alluring look and affluent design of Silver Rakhi will bring a smile on your brother’s face the moment he sees the Rakhi. Send this exclusive piece of beautifully crafted Rakhi to your brother on Raksha Bandhan. Well, this one is the trend setter. These are the definite hot picks when those adorable li'l devils of the house are in question. Celebrate the joyous occasion of Rakhi by sending this special Rakhi to your loving brother. 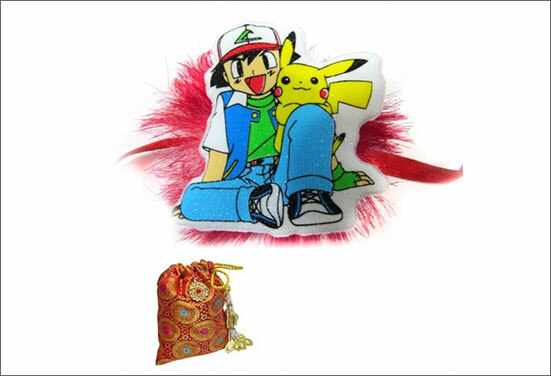 Get the craze of Pokemon on board! Oh! We Just Got You A Bonus! When your brother gets married, his wife (your Bhabhi) becomes an integral part of your family. And as the tradition is gaining popularity, you tie a Rakhi to your sister-in-law’s hand as well. Therefore, Bhaiya-Bhabhi rakhi sets are available in the online stores that offer a wide range of mesmerizing Rakhi sets. Explore our category of Bhaiya Bhabhi Rakhi and send Rakhi to your Brother and Bhabhi. Well, when there are Rakhis that can be worn throughout the year and even be flaunted with your fashionable attires, why not tie the same to your brother. 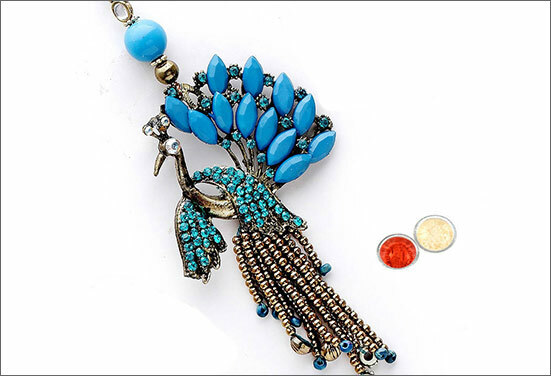 Bracelet Rakhis are the newest trend that suffice to traditions and fashion both at once. 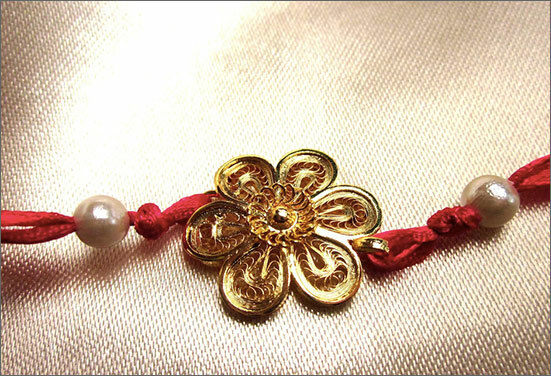 Choose the best Rakhi for Brother and make him feel delighted on Raksha Bandhan. So girls, with these trendsetter Rakhis in hand and oodles of love in your heart, go tell your brothers, they are treasured forever.